Issue #039 - April-May, 2016. A legend in Country music is gone. Why Elvis presented scarves to his audience. Most ever paid for a record. 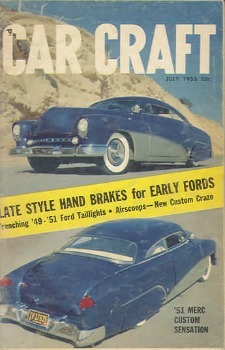 Remembering the 50s Car Craft magazines. 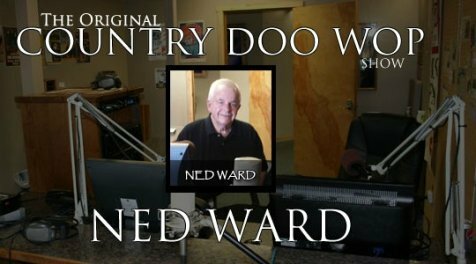 Sadly, one of the great country legends of our time, died on his birthday, April 6, 2016. God Bless you Merle Haggard for making country music a pleasure to listen to and the way it should be played. The Kennedy Center Honors is an annual honor given to those in the performing arts for their lifetime of contributions to American culture. Merle is a recipient of the 2010 Kennedy Center Honors award. The award was also presented to Paul McCartney during the same ceremony. A Rock legend and Country music legend on the same stage. 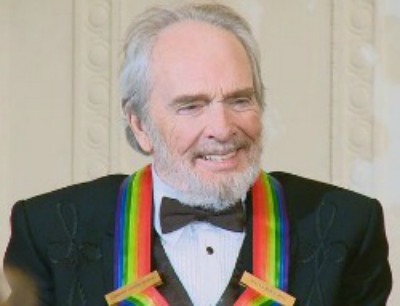 Merle Haggard was 79. The remarkable story behind the fifties group, The Royal Teens, was uploaded a few days ago and the article was much longer than I had originally planned. 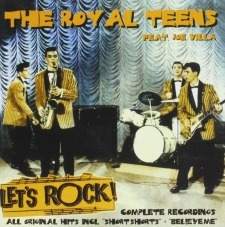 I enjoyed The Royal Teens second hit in 1959 titled "Believe Me," more than their first hit. However, after I compiled some history, the #3 hit "Short Shorts" was the story I believe visitors would enjoy reading about. From a small New Jersey band, a fascinating journey would reunite two members after 35 years. One member would write hit songs, music for a broadway play, and in 1960 become a member of The Four Seasons. Another would paint his experience about that play called The Jersey Boys. Read the Royal Teens story here. 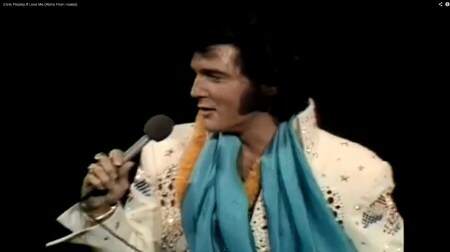 Do you know why Elvis gave silk scarves to his audience? Kathy Westmoreland was an Elvis background singer from 1972 to around 1975. She loved what he did with the scarves and shortly after meeting Elvis, asked about the scarves. He told her he got that from Tibetan Lamas, Tibetan Monks. Elvis had a great culture about religions. In Tibetan culture, gift giving is part of Buddhist philosophy and way of life. Tibetans give white silk scarves called a khata to friends and family who are arriving or leaving. They symbolize good luck. How many of you knew what the significance of the scarf greeting was? The Doctor is in - Reconditioning the Dual turntable. In early March of this year I contacted Malcolm Scott, a well know "Dual" turntable repair specialist, who lives in Canada. I was looking to purchase a Dual 1219 turntable that was lost in a move some years back. I purchased one new in 1970 and Malcolm confirmed what I already believed. The 1219 was Duals top of the line flagship table in the early 70s and one of the best they ever made. 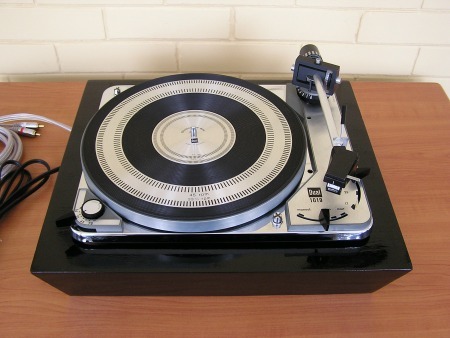 While viewing his site I noticed he had completely restored a Dual 1019 turntable in chrome, with a black base. A beautiful restoration. Go to his home page for a slide show of his turntables. Click on the Chrome Dual title at the top of the Doctor Dual home page for photos of this magnificent turntable. Why is this record considered the most valuable? 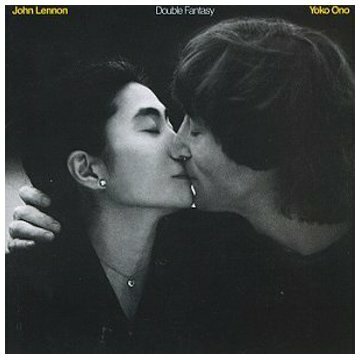 A regular copy of this album is not worth a whole lot---but one particular copy of Lennon and Ono's Double Fantasy is arguably more valuable than any other, reportedly selling for more that $400,000 in 1999. The copy was signed by Lennon outside his New York apartment for Mark David Chapman, the man who'd return just hours later to fatally shoot Lennon. Before selling for an enormous price tag, the album was considered evidence in the infamous murder case against Chapman. Collectible Covers - The "Butcher" cover from 1966. Known famously as the "Butcher" cover, the Beatles originally went with a cover showing them holding cut up baby doll parts. This did not go over well with the public. The albums were recalled and recovered with this pasted over photo showing The Beatles lounging around a shipping trunk. According to ratemyrecords the original could bring you as much as $15,000. The above is a photo of my framed album I have had displayed on my hobby room wall for many years. I set it on a shelf to take the photo. My photography is not the best but this would be the album you need to look for at Estate and other sales. Great Hollywood Vinyl LP soundtracks. First James Bond film with famous 007 theme. 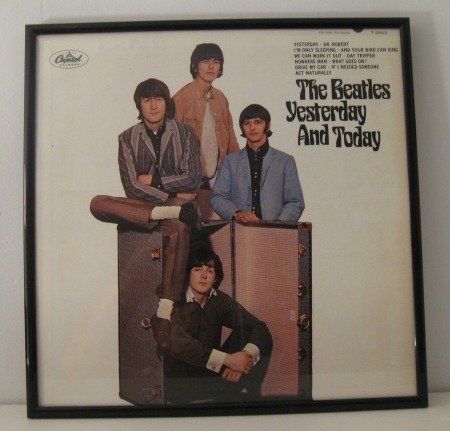 LP vinyl soundtracks were once as constant as the sun rising and setting in the same day. If there was a movie there was an LP of the songs and beautiful cover art work. This was the first James Bond film and the immortal Bond theme. 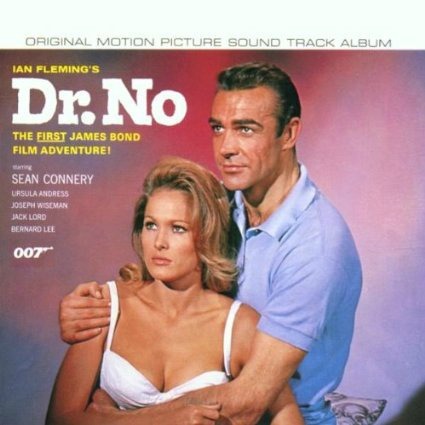 The album cover is classic and timeless, a young, smiling Sean Connery as Bond holding the beautiful Ursula Andress in a bikini. With one of the world's most recognizable them songs, this cover should be in the LP Hall of Fame. Of course, there is no such institution. I do have several movie soundtrack LP's and the Soundtrack to American Graffiti is one of my all time favorites. Any old Hot Rodder's remember these? 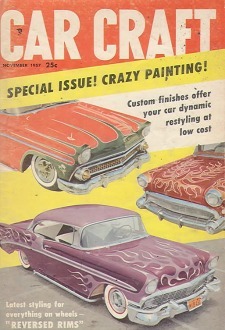 These are original Car Craft magazines from 1955 and 1957. Price as shown, 25 cents. I still have several from back in the day. You could fold these in a small tube shape and put them in your back pocket. They were quite small, nothing like today's Car Craft magazines. Getting detention in Junior High school was a chance to catch up on all the cool car tricks while reading these in after school class. For all the hard working plumbers, add this to your truck. Sign on a Plumber's truck : "We repair what your husband fixed."